Dark Souls game is a famous action/RPG with indistinct plot, gruesome atmosphere and high difficulty. Dark Souls for PC was released only last year, but in 2013 the developers are going to amaze us with new Dark Souls II game. What do we know about it? The director of the project - Tomohiro Shibuya - is sure, that Dark Souls is a very interesting and unique game and so the sequel to it should be almost the same. “My concept is to get Dark Souls and what made it great, and give it a major upgrade,” he says, and so Dark Souls II is going to be as difficult and scary, as the first part. But the developers are going to make it bigger and better. The map in Dark Souls II will be increased, but the game still will have no open world, because the developers think, that it is not appropriate for this title. 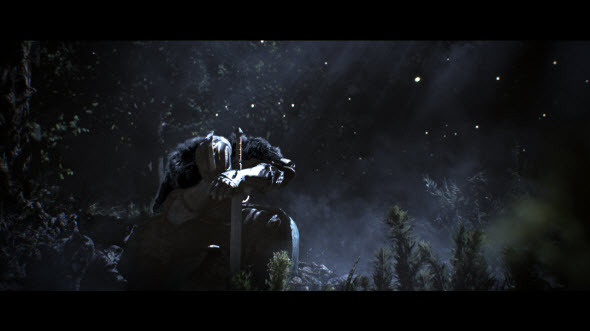 The story in Dark Souls will be completely new and it will take place in other location with other characters, but nevertheless the Dark Souls universe remains the same. And the developers are planning to start their work with graphics, and they promised, that in new Dark Souls it will be more detailed and realistic. Maybe, the developers will change the graphic engine, but we can say for sure, that it will be not only the work with light and shadows - the graphics really is going to be changed. If you want to be the first to know something interesting about Dark Souls II and other video games, follow our posts and subscribe to our pages on Facebook, Twitter and YouTube.